Point2 Homes gives you far more than a simple list of houses for sale. Get instant access to a lot of relevant information about Cambridge, ON real estate, including property descriptions, virtual tours, maps and photos. The search results pages also have a wealth of information on Cambridge, ON, if you scroll all the way down. There are 165 houses for sale in Cambridge, ON. 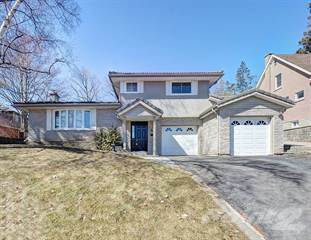 Searching homes for sale in Cambridge, ON has never been more convenient. With Point2 Homes, you can easily browse through Cambridge, ON single family homes for sale, townhomes, condos and commercial properties, and quickly get a general perspective of the real estate prices. Also, you’ll never miss a bargain if you filter listings based on house price drops in the past six months. 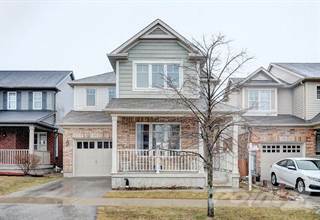 Use the map view to find Cambridge, ON homes and apartments for sale, based on amenities or city features that you may want close by. You can close in on a specific neighbourhood or area by simply drawing around them with the polygon or radius tools. Stay informed about the latest entries on the real estate market by saving your searches. This way, you get new listings in your inbox, daily or every week, based on your preferences. If you’d like to get in touch with a professional, agents are displayed next to their listings, and they’re easy to contact through the online forms. 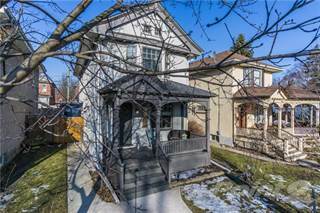 If you want more options, you can click the Tools tab and Find an Agent, and you’ll get a list of helpful and knowledgeable real estate agents in Cambridge, ON. Visit the Point2 Homes blog and you can find up to date expert advice on many markets throughout Canada, regular market reports, neighbourhood scoops in cities throughout the provinces, real estate deals and useful recommendations. Cambridge is a city in Southern Ontario that has a population of over 126,000 people and stretches over 112.86 kilometres of land. Cambridge was formed by the amalgamation of Galt, Hespeler, Preston, Waterloo and North Dumfries. The location of Cambridge is ideal for travellers because of its airports, large cities and Canada/United States border crossings. The average age in Cambridge is 36.4 years old and the city focuses on educating younger residents. It is a culturally diverse city that offers its residents plenty of opportunity. Cambridge is one of the strongest areas in Canada in terms of economy. The largest employer in the city is Toyota Motor Manufacturing Canada who employs 4,500 people. Other large employers in the area include Challenger Motor Freight Inc. and COM DEV International Limited. Cambridge has a growing community of businesses and currently has over 10,900 businesses. Small businesses employ most of the workforce with most businesses employing 1 to 9 employees. One of the larger sectors in Cambridge is manufacturing, with over ¼ of the labour force employed in this sector. Cambridge is also part of Canada’s Technology Triangle (CTT), because of the amount of science and technology companies it has. Cambridge offers plenty of entertainment with the arts, heritage, and recreational activities. There is something for everyone in Cambridge. The city has many places to experience arts and culture, such as the Cambridge Centre for the Arts. It not only provides programs but also puts on events and performances for the enjoyment of the residents. For nature lovers, there are many trails and parks to visit. There are a large number of parks in the city; in fact, there are over 100 of them such as Churchill Park, and Soper Park. The parks offer many different activities and feature attractions like splash pads, snack bars and campgrounds. There are over 70 kilometres of trails and over 14 golf courses within the area. One unique attraction is the Cambridge Butterfly Conservatory that gives you a chance to experience nature in an interesting way. The Conservatory provides a wonderful opportunity to get up close to butterflies and take breathtaking pictures. It also hosts events such as weddings. As for shopping and dining, there are many places in Cambridge that offer these services. Places like the Cambridge Centre, Preston Towne Centre and Galt on the Grand provide extensive shopping. Once you’re done shopping, there’s no doubt you’ll be hungry. These areas provide many options for dining as well. In Cambridge, there are 4 main areas: Hespeler, Preston, Greenway-Chaplin, and Galt. Some neighbourhoods within these areas include Silver Heights, Southwood, Christopher-Champlain and Alison. Hespeler is more of a family oriented area, and it is also very cultural. It is located in the northern part of the city, and there is plenty of space for people who love the outdoors to get out and about. There are some restaurants and shopping in this area as well. The neighbourhoods of Silver Heights and East Hespeler are located around Hespeler Village. The area of Preston has a good mix of residential and commercial space. On King Street, there are many choices of restaurants to pick from. Here you can find the Preston Towne Center, an area filled with shopping and businesses. It is considered as the downtown area of Preston. Some neighbourhoods in the area are Preston Heights, Lang’s Farm and Hagey. Greenway-Chaplin is one of the central areas in Cambridge. It also has a diverse mix of residential and commercial areas. There are select restaurants and businesses, but one of the most popular places in this area is the Cambridge Centre. The Cambridge Centre is a large mall with a wide variety of stores. Galt is located on the south end of Cambridge and is a part of where the former City of Galt used to be. There are two parks in this area, as well as many schools. This area also includes many heritage houses. There is more of an older population here. Some neighbourhoods in the area are East Galt, Alison, Christopher-Champlain, and Southwood. As of 2015, new residential construction in Cambridge was valued at $83.4 million. This was for the construction of 429 new homes. The average price of a home in Cambridge is relatively cheaper when compared to the average price in Ontario. Galt provides many single-detached homes, as well as condominiums and single-family homes. Most people in this area own their homes but there is still a good amount of renting that happens here. Houses located here tend to be older. Hespeler also has many detached and single-family homes. In this area, more people own their homes and a smaller number rent. The homes in this area are affordable and are a mix of older and newer homes. Preston has detached, single-family and multifamily homes. It also has apartments and condominiums. Some apartments here were converted into condos in the past. There is a balance of people who own their home and who rent. Greenway-Chaplin has apartments, single-family, and detached homes. Most people in this area own their home while a smaller amount rent. Fiddlesticks has detached, single-family homes and townhouses. Again, there are more people in this area who own their home, and a smaller amount of renters. There is a mix of older and newer homes. Cambridge is home to two school boards that provide 40 elementary schools and 7 secondary schools. The Waterloo Region District School Board and the Waterloo Catholic District School Board provide many options for children to attend public and Catholic schools. There are many options for university and college in and around Cambridge. The surrounding areas provide places within an hour drive. Some colleges and universities here include Conestoga College, which is unique in the fact that it has many interesting programs related to technology, like robotics and information technology.